When I reviewed Astell&Kern’s first offering in early 2013, the AK100 ($699), the concept of a high-performance portable music player was new and the AK100 was unique. Flash forward three years—nowadays audiophiles have a plethora of options. 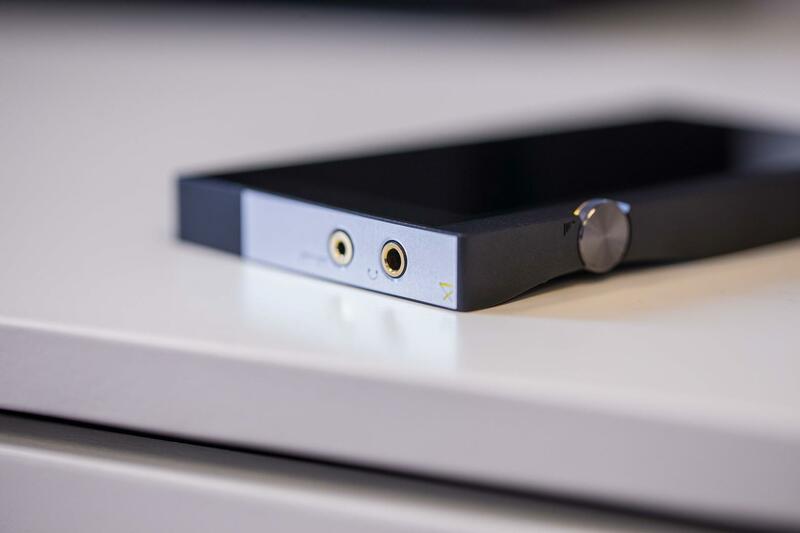 Astell&Kern alone offers seven players, from the AK Jr ($499) to the AK380 ($3499). Other manufacturers including Sony, Questyle, Calyx, Colorfly, iBasso, and Fiio have all come out with high-resolution, high-performance players whose prices range from less than $300 to $1300. Obviously, the portable player market has “blown up” into a massive business driven by an increasingly mobile customer base. And the plethora of choices continues to grow. One of the latest manufacturers to toss its portable player hat into the ring is Onkyo. Its DP-X1 ($899) offers a unique set of features and capabilities at a highly competitive price. The first headline on the DP-X1’s web page leads with “Powerful, Portable, Pricey.” Onkyo’s intent is clear: Release a high-value, high-performance portable player whose features and performance rival “premium-priced” competition. Given the highly competitive nature of this particular market, Onkyo needed something more than merely “we sound better” to elbow its way in. So, what has the Onkyo DP-X1 got that the others haven’t got? MQA. The Onkyo DP-X1 is the only portable player so far, besides its “cousin” the Pioneer XDP-100R ($699), to offer MQA capabilities. But, wait, of course there’s more. The DP-X1 also includes a true balanced headphone output (and dual DAC chips) with the capability to drive difficult headphones that usually require beefy external amps to sound their best. Add to all this the ability to access and play popular streaming sources, including Tidal, Spotify, and Pandora, and you have a player that does indeed challenge competitors with much higher pricetags. Will the Onkyo succeed in displacing other competitors on the pedestal of best-priced high-performance player? That is a distinct possibility. The DP-X1’s storage capacity currently maxes out at 432GB. To achieve this amount of storage you will have to use two 200G micro-SDXC cards. Internal memory is limited to only 32GB, and some of that will be occupied by the OS and whatever apps you choose to add to the DP-X1. The DP-X1 supports a multitude of audio formats including 11.2MHz DSD, 384kHz/24-bit PCM, MP3, WAV, FLAC, ALAC, and AIFF, as well as MQA files. Basically if it’s a music file, the DP-X1 will play it. The DP-X1 uses an Android 5.1.1 platform for its OS, which allows it to have all the functionality of a smartphone minus the annoying phone call part. You can access the Internet, send and receive email, and even keep your address book on the DP-X1 if you wish. Internet Access via WiFi also lets you use Google’s Play Store to add any apps you wish to the DP-X1. I added Tidal and Onkyo’s own “Onkyo Music” store to my review sample. Downloading and installing was quick and easy. The quick part was due to my WiFi’s 5.0GHz connection speed, which speed-tested on the DP-X1 at over 100MBps! That throughput rate rivals my hardwired Ethernet connection. How come so fast? A month after I moved into my new home in Denver, CenturyLink offered my neighborhood fiber-optic connections. Since every time it rained I lost my Internet due to the old copper cable’s lack of water-tightness, after the tenth service call I jumped at the opportunity, not so much for the speed (which has been nice) but for the reliability. Now even if I lose power my Internet still works for as long as the high-speed fiber-optic modem’s battery back-up lasts. If you already use an Android phone the DP-X1’s pages will be quite familiar to you. Unlike some players with their own customized Android-based interface that can limit functionality, the DP-X1 is open to whatever you want including third-party music players and apps. While I didn’t try out other player apps since I found Onkyo’s supplied one did everything I needed, if you have a player that you’re used to, or prefer to use, you can easily add it to the DP-X1. But since the DP-X1 has Android openness, you might download an untested program that could in extreme cases “brick” (make non-functional) your DP-X1, so I would advise some restraint.